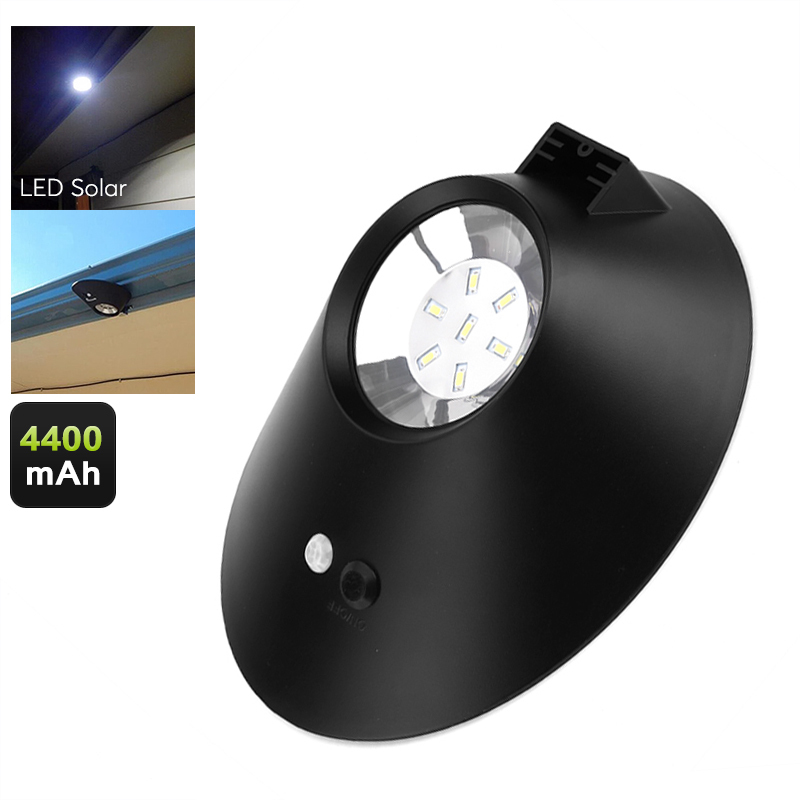 Successfully Added Solar Powered LED Light - 3 Light Modes, PIR Sensor, 300 Lumens, 4400mAh Battery, IP65 Waterproof to your Shopping Cart. This outdoor LED light is perfect for upgrading the security levels of our property. With its PIR sensor, this waterproof LED automatically lights up whenever motion is detected. It comes with 7 ultra-bright LED lights. Together, these lights are capable of producing a stunning 300 lumen. With all this power at hand, this electronic gadget will light up your driveway without any problem. It furthermore has been built to work in all environments and weather conditions. Thanks to its IP65 waterproof rating, this outdoor LED can even withstand strong rains and storms. This LED light comes with an intergraded solar panel. This allows your outdoor lighting to charge itself during daytime. When the 4400mAh battery of this solar powered LED light is fully charged, it delivers up to 8 hours of continuous usage time. Thanks to its solar powered design, the light is easy to install. Simply attach it anywhere you like without needing to be bothered with annoying power cables. From now on your driveway will always be lit up when a visitor approaches. Once the LED light is in place, you’ll never have to worry about its battery again. With its smart sensor, this outdoor LED switches on automatically at dawn. In order to save energy, it also switches itself off again once the morning has arrived. Thanks to this, your solar powered LED won’t unnecessarily waste any power. This LED light furthermore comes with 3 different lighting modes. Simply select the one that goes well with your environment and you can be assured that this solar powered LED light meets all your security demands. This LED Light comes with a 12 months warranty, brought to you by the leader in electronic devices as well as wholesale electronic gadgets..